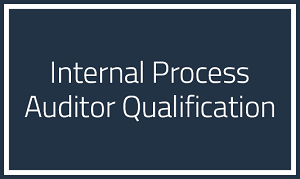 Utilizing the process approach and the respective customer specific requirements, this training delivers the basis to qualify VDA 6.3 process auditors. The delivery of the basis of process auditing includes the general requirements, methods, principles, evaluation schemes, and risk analysis rational. Furthermore, the VDA 6.3 questionnaire is explained according to the elements attributed to the process so that, through the process audit, the trained auditor can identify the respective and potential risks throughout the supply chain. Personnel designated to perform audits inside their own organization (internal). This training qualifies but does not certifies process auditors for suppliers nor for subcontracted services. Main quality tools and methods. Specific product and process requirements related to the planned operations. Principles, conduction and management of an audit program based on ISO 19011. Correlation with other automotive requirements. Overview of the three types of audit and explanation of the differences. Overview of the content of the individual VDA 6.3 chapters. Introduction to the process approach for risk analysis using the turtle diagram. The auditing process from the audit program to its conclusion. Planning and conduction of a process audit. These training program is designed with individual and team exercises, case studies and final test to cover thoroughly the VDA 6.3 process audit content enabling the future auditors to effectively apply it in the automotive supply chain. The ultimate objective is to enable the trained auditors to promote process robustness and capability. After proof of minimum attendance and approval on the final test students will receive a certificate of qualification from SCMEP. This training does not provide a copy of the actual VDA 6.3 standard. Each student will receive a printed student’s handbook. Each student will also receive a digital file of our VDA 6.3 Process Audit Spreadsheet. This spreadsheet, besides providing a proper repository for all findings collection and respective action plan, contains all VDA 6.3 questions, all examples of evidence, and the guidance to attribute the points per question, which cover the entire content of the VDA 6.3:2016 book.